Iran's trial of Washington Post correspondent Jason Rezaian began in Tehran on Tuesday under a cloak of secrecy and international condemnation. Rezaian's mother Mary and wife Yeganeh were not allowed to observe the proceedings, which ended after a couple of hours, according to Iranian state news agencies. His brother Ali, back in the United States, expressed disappointment that it's "a secret trial." In a telephone interview, Ali said his brother "was taken in and out through the back door" on Tuesday, so family members "didn't get to see him." 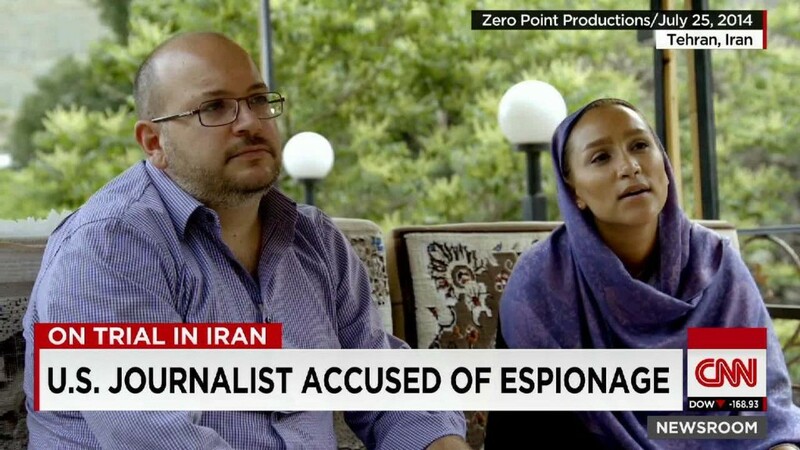 Rezaian, the Post's correspondent in Tehran, has been imprisoned since last July. The charges against him, which involve espionage, have not been supported by publicly available evidence. The United States government has called the charges "absurd," and so has The Washington Post. "There's absolutely no foundation for these charges," Post foreign editor Doug Jehl told CNN's Wolf Blitzer on Tuesday. Jehl said "what's so alarming is that we know so little" about the trial and about Rezaian's condition. "We've been unable to have direct communication with him," Jehl noted. "Communications have really been limited through his wife and only a 90-minute visit with his lawyer." The Post's top editor, Marty Baron, has called Iran's treatment of Rezaian "shameful." In a new statement on Monday, he said, "There is no justice in this system, not an ounce of it, and yet the fate of a good, innocent man hangs in the balance. Iran is making a statement about its values in its disgraceful treatment of our colleague, and it can only horrify the world community." Some observers have gone further, portraying Rezaian as a geopolitical pawn. "This is, many people say, a political trial," CNN International anchor Becky Anderson reported on Tuesday. Rezaian is viewed by many to be "a pawn in a wider power struggle going on inside Tehran," she said, "with the government of President Rouhani pitted against hard-line elements who may wish to embarrass him as he tries to strike this nuclear deal with the west by the end of next month." Rezaian's family members have also referenced the "different factions" within the Iranian government. Ali Rezaian said the next trial date is unknown. "We're hoping for it to be as soon as possible," he said. "We just want to move through this process." CNN's Shirzad Bozorgmehr contributed reporting from Tehran. December 2014: Rezaian's brother Ali on "Reliable Sources"
April 2015: Washington Post editor Marty Baron on "Reliable Sources"